27 Royal Cork sailors and 9 ribs invaded Kinsale at the weekend (some 417 years after the Spanish) and managed to return with some of the silverware – quite unlike the Spanish! Regatta Fleet raced off Dock Beach, under the turrets of both Charles and James Forts inside Kinsale Harbour. Lucy Moynan and Grace Coveney were our representatives there, Daniel Horgan and Fionn Hayes having both suffered broken arms in the days before the event.Lucy finished 14th and Grace 24th – super sailing given the breeze that was on the supposedly sheltered course. 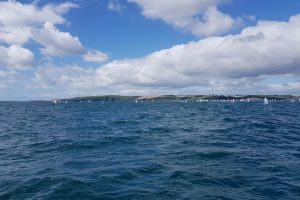 The main fleet spent all four days off the Bulman Rock, where the breeze varied from 6-8kts right up to 23-24kts – but it was the lumpy sea conditions that were the challenge. Thursday was breezy but manageable, Friday saw wholesale retirements across the lower halves of the fleet. Saturday was much like Thursday, and the event finished in warm sunshine and lighter airs on Sunday with a full programme of races thanks to our own Peter Crowley who was PRO. In Junior fleet, Ben O’Shaughnessy battled his way back to 2nd overall and an ISA Silver Medal counting only top 10 results. Emmet Lucas was next in 10th, Alana Twomey 11th, both using up discards for OCS starts. George Pritchard was 15th. Sam Coveney was 3rd Silver and 37th overall, just ahead of Rian Collins. JP Curtin in 43rd and Harry Moynan in 46th both suffered capsizes in races, getting caught out (as did many others) in the sea conditions. David McSweeney was the next Royal Cork sailor in 48th. The rest of our junior fleet finished Ellen Bruen 67th, showing incredible determination on Day 2 finishing all her races, then Shane Collins (our youngest sailor in Main Fleet) 76th and Charlie Venner 82nd. The Senior Fleet, as always, was very hotly contested with 3 sailors on equal points vying to be crowned Irish National Champion. Justin Lucas won out in the end, taking the title and 2nd overall on countback with 49 points. James Dwyer Mathews was 4th, also on 49 points. Harry Twomey in 9th gave us 3 of the top 10 boats. 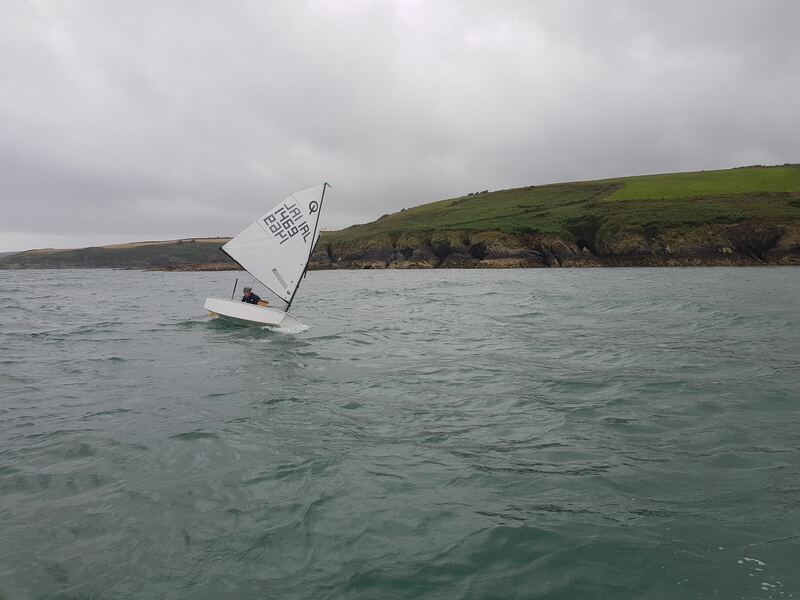 Michael Crosbie finished the regatta on 11th despite having to carry a DNE – which took two redress hearings over two days to be confirmed – otherwise he would have ended up Open and Irish Champion by a single point. Jamie Venner was 21st and 15th Irish boat, edging Richard McSweeney in another tiebreak while discarding a black flag. Patrick Bruen was next Irish boat and 25th overall. James Murphy was close behind, having had a storming start to the week, ending 27th. Anna Keal was 38th, George O’Keeffe 40th and Darragh Collins 41st and winner of the Silver Fleet. Liam Duggan found form on the Saturday and Sunday, having been pushed hard in the big breeze earlier in the week to finish 63rd. Simon Pritchard was yet another victim of modern medicine with a broken toe and unable to sail! The standard on all fleets was exceptionally high, and some very strong international sailors present showed that the Irish Fleet is very competitive. 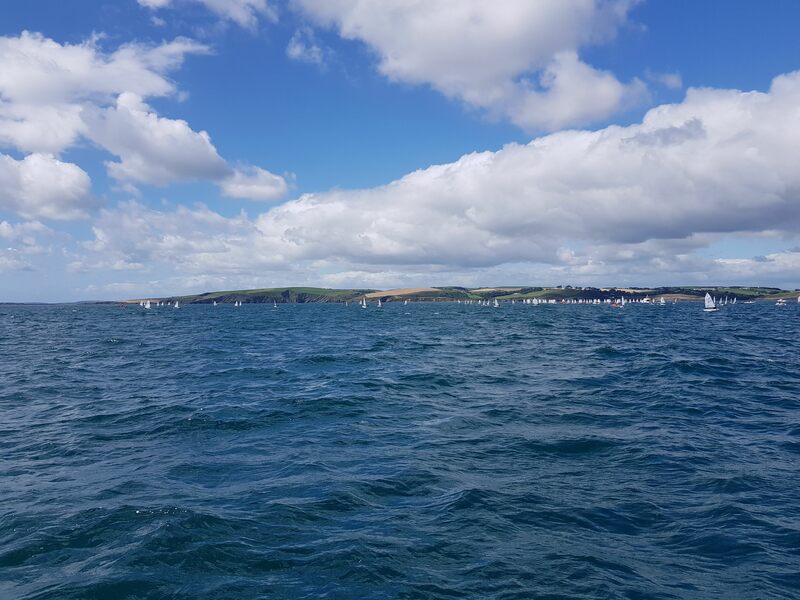 Well done to all our sailors, and a big thanks to the rib & trailer towers – despite being just next door, this event was a logistical challenge as we also provided 2 ribs to KYC for their safety fleet. Thanks to the club staff who helped us get everything in place. 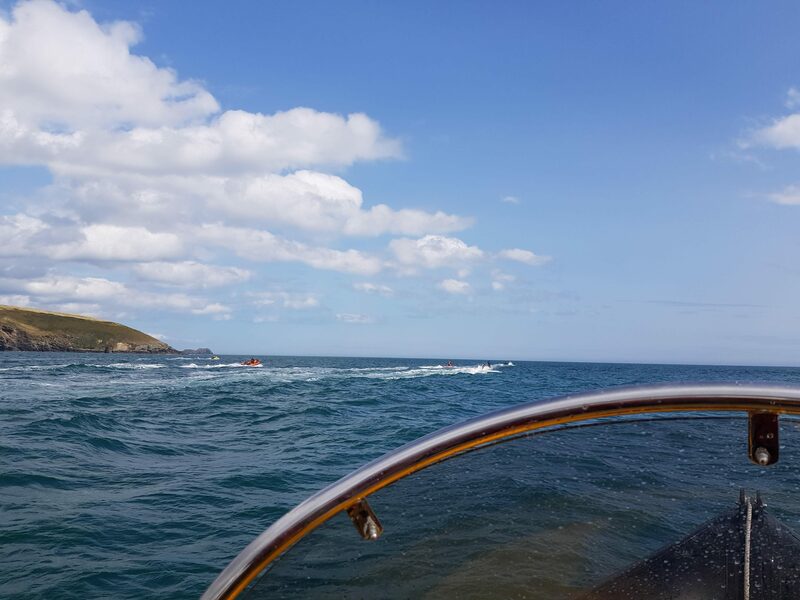 Things were a little easier on the return – sea conditions were reasonable so 4 parents and 2 coaches returned their boats by sea. A big shout out to our coaches John Durcan, Rebecca O’Shaughnessy and James McCann who did sterling work encouraging and mentoring our sailors over the event. Next stop on the circuit is Fenit, but we hope to see the fleet out in force for the At-Home this weekend. Finally – best of luck to Michael, James, Justin and Harry as, along with Rian from NYC, they represent Ireland at the Optimist Worlds in Cyprus at the end of August.